Have you ever wished for a simple life of tranquillity… somewhere that doesn’t make you feel “like butter that has been scraped over too much bread” and can enjoy a mug of ale in peace? Well, this Lord of the Rings Tour in New Zealand is what you’ve been waiting for all your eleventy-one years! The Shire was J.R.R. 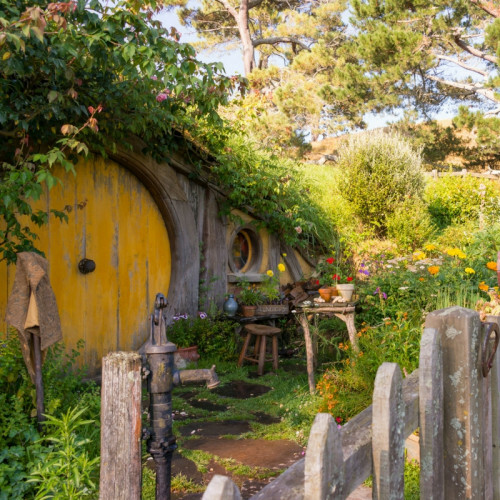 Tolkien’s embodiment of innocence - before industrialisation, war and politics became the way of the world and watching Frodo, Bilbo and Sam’s adventures made us fall in love with Hobbiton’s lush green hills and Hobbit Holes. But this was just a movie, right? Such a place can’t really exist, can it? 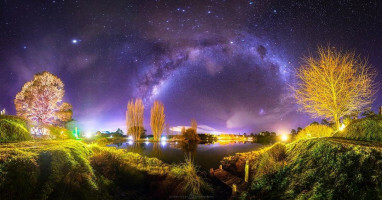 With daily tours departing from Matamata and Rotorua, this Hobbiton Movie Set Tour is the closest you’ll get to stepping through a portal into the magical realm of Middle Earth. Once there, you can explore the idyllic lanes, bridges and pastures that Merry and Pippin walked. You can visit The Mill, duck through round, green doors of 44 Hobbit Holes, enjoy ales and ciders at The Green Dragon Inn and feast on fine, East Farthing fayre at a delicious buffet served in the Party Marquee under the oak tree, near Bag End in Bagshot Row! 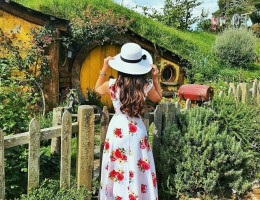 If that doesn’t satisfy your inner-Hobbit, you can watch the village breathtakingly light up as the sun sets in the West Farthing, with lanterns glowing and Hobbit Hole chimneys smoking. Finally, every Hobbit’s favourite of their six daily meals - an Evening Banquet in The Green Dragon Dining Room. And if you believe in magic, you may even see Gandalf’s fireworks!